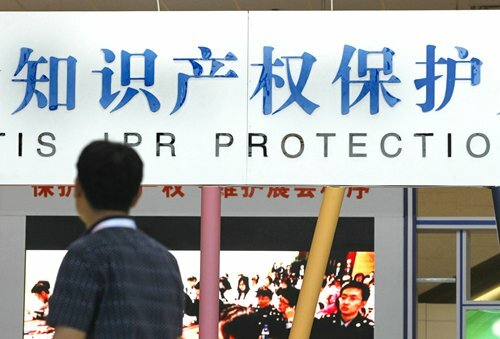 Industry analysts said that the authorities are likely to strengthen crackdowns on violations of intellectual property rights (IPR) in the sector and that companies should seek a balance between pursuing profits and respecting the public interest. VCG came under fire on Thursday after it claimed copyrights on the first-ever photo of a black hole as well as the Chinese flag and national emblem. The paper.cn reported on Sunday that VCG and its subsidiaries filed more than 2,000 lawsuits alleging copyright violations in 2017 and 2018. The number of related litigation documents reached 11,023. Among such cases, VCG demanded infringement compensation from a company for 10,000 yuan ($1,491) per photo, which it said would be cut to 300 yuan if the company agreed to seek cooperation on the use of photo, the report said, citing an unidentified person familiar with the matter. VCG's goal is not to obtain direct compensation in these cases, but to shift from guarding its copyrights to selling products and to coerce the defendants into exclusive contracted customers, cnstock.com reported, citing sources close to the company. VCG generated 701 million yuan in revenue in the first three quarters in 2018, up 21 percent year-on-year, according to its financial statements released in October. Chinese netizens expressed criticism and anger toward VCG and called for relevant departments to strengthen IPR regulations in the industry. "It could safeguard its legal rights, but VCG mustn't use copyrights to blackmail and make illegitimate gains," a netizen named Lenian wrote on the twitter-like Weibo on Sunday. "VCG sought loopholes in IPR laws and even made this into a ready source of income… such conduct is blackmail and industry regulations are expected to be strengthened," a netizen using the name Xinyufuzi said Sunday. VCG, whose website has been shut down for rectification, is not an isolated case. Domestic photo provider quanjing.com reportedly sold photos of former government leaders and China's national flag without authorization, media reports said. Quanjing.com's website was inaccessible as of press time. The sector has been plagued with copyright violations, but IPR claims should not be abused, said Zhao Zhanling, an analyst at the Center for IPR Studies at the China University of Political Science and Law. Zhao told the Global Times Sunday that "enterprises that commercialize the copyright of pictures should find a balance between pursuing their own commercial interests and respecting the public interest." If image providers that do not have copyrights sue users with demands for excess compensation, the conduct is cheating and even illegal, and it should be cracked down on, he said, noting that a benign, market-based copyright trading market is expected to be established. Such scandals should serve as a warning to the public and strengthen the awareness of IPR protection and giving proper credit when using others' work, Hao Junbo, lawyer at Beijing-based Hao Law Firm, told the Global Times on Sunday. Several fund companies have lowered their targets for VCG shares. Bank of China Investment Management lowered its target price for VCG to 20.41 yuan on Friday, followed by other fund firms such as BOCOM Schroders and Bosera Funds. The company's shares tumbled by the daily limit of 10 percent to 25.2 yuan per share during Friday's trading. China's National Copyright Administration issued a statement on Friday urging image providers to strengthen their IPR management mechanism.